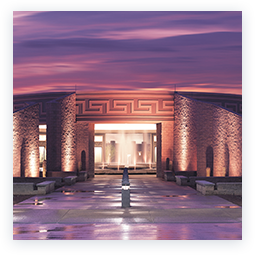 Desert Diamond Casino invites all its eligible Guests to join Diamond Rewards. The following rewards rules apply to all Diamond Rewards Card members. Guests must be 21 years of age or older to become a Diamond Rewards member. 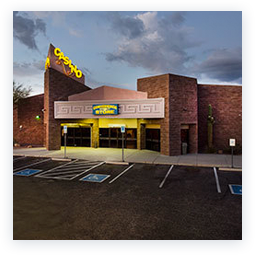 Employees of the Tohono O’odham Gaming Enterprise are not eligible for membership. Membership is free. Membership and any Free Play, bonus points, Reward Dollars or benefits cannot be transferred. Membership and/or benefits may not be brokered, bartered, or sold, and may not be transferred upon death or as part of a civil or domestic relations matter. A valid picture ID is required to become a Diamond Rewards member. To conduct transactions at the Rewards Center, guests must present their Diamond Rewards card and valid picture ID. Valid picture ID is defined as a current and valid driver’s license, state issued identification card, military identification card, Tribal identification card, or passport. To earn rewards playing slots, you must ensure that your Diamond Rewards card is properly inserted into the card reader while engaged in play. Desert Diamond Casinos & Entertainment is not responsible for points lost due to improper play. Guest must present Diamond Rewards card to the Table Games Dealer to accrue Reward Dollars. Management may, in its sole discretion, adjust any balances resulting from malfunction, operator error, and/or fraud, including, but not limited to, Free Play or points. Disputes regarding your eligibility for membership, accumulation or redemption of Free Play, points, Reward Dollars and/or your balances will be resolved by management. Duplicate cards may be issued upon presentation of valid picture ID. Desert Diamond Casinos & Entertainment is not responsible for lost or stolen cards. Accrual of points and Reward Dollars by other players using your Diamond Rewards card is prohibited. This includes card distribution to persons known to you. Improper or fraudulent activity may result in membership cancelation and/or the loss of benefits which may have been earned. Fraudulent activity may also result in exclusion from the casino. Complimentary services may be extended to Diamond Rewards members. Benefits are based on play. Points redeemed for Free Play at a slot machine must be done in increments of $1.00. Free Play that is converted from points expires within (7) days of conversion. Points converted to vouchers valid at participating outlets within the casino expire within (7) days of issuance. Points accrued in Poker and Bingo can be redeemed for Free Play at the slot machine and must be done in increments of $1.00. Points can be redeemed at the Rewards Center for Merchandise, F&B and Retail Outlets, and must be done in increments of $1.00. Diamond Rewards accounts and accrued points and earned Reward Dollars expire after 12 months of inactivity. To maintain an active account status, you must accrue points and Reward Dollars in your account during each 12 month period. Free Play expires 90 days from the date awarded unless otherwise noted. Management reserves the right to award Free Play, bonus points, Reward Dollars or cash prizes at its discretion. This includes, but is not limited to new members. Use of the Diamond Rewards card constitutes acceptance of the membership rules and conditions. Management reserves the right to change, modify or withdraw any portion of the membership rules, accrual and redemption system, or promotions, in whole or in part, at any time, without prior notice. 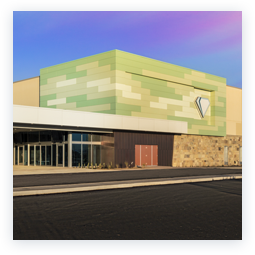 By becoming a Diamond Rewards member and providing your contact information, you agree and understand that Desert Diamond Casinos & Entertainment may communicate with you using the information you have provided at the Rewards Center. This includes, but is not limited to, mailing addresses, telephone numbers or email addresses. Desert Diamond Casinos & Entertainment does not sell, share or rent Diamond Rewards member information. 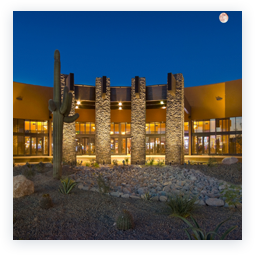 Desert Diamond Casinos & Entertainment tracks all promotional prizes won during the calendar year and is required to report aggregate amounts of $600 or more to the IRS, in accordance with federal tax law. All Diamond Rewards Membership Rules apply to Tribute Cardholders.